Whether you are an individual looking to raise some cash for a specific project or a group of people looking to fund a special event, you need an online service that will make collecting money so much easier for everyone. Leetchi.com is a tried and tested service that makes group gifting a speedy, easy and secure way for everyone to pool money together into one dedicated online money pot. 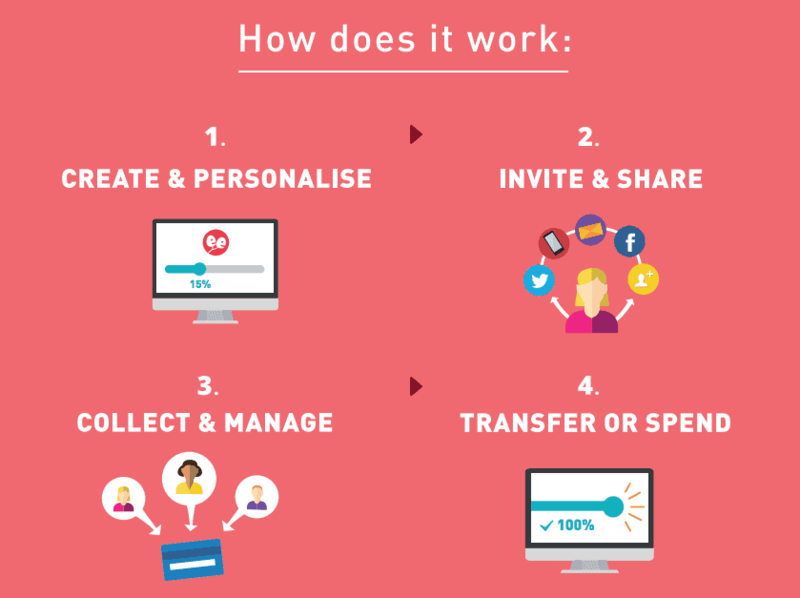 Why use a group gifting platform? Anyone is able to use this service for anything from collecting for friends birthdays to pay for a huge gift, life changing trips, events, retirement gifts, parties, wedding presents, baby showers, and people can even collect together easily to help out a good cause in your local community. 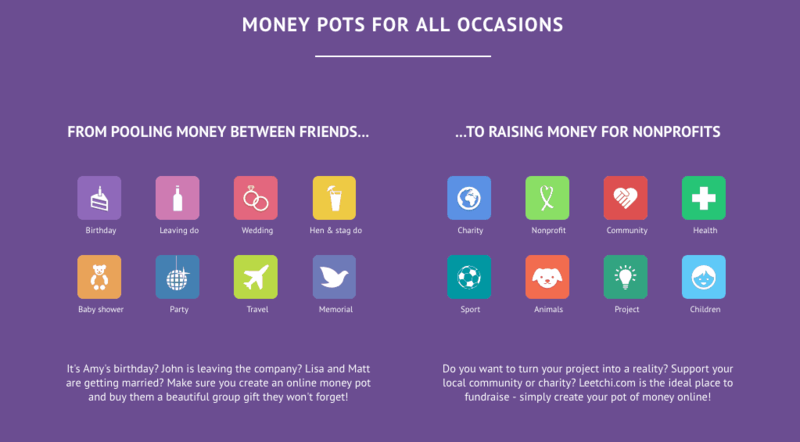 Tens of thousands of people and charities use this service to creatively release the power of their group to raise hundreds of pounds to support good causes or help with charity fundraising. Leetchi.com has become famous as being a top European collection platform which has an amazing 6 million users already and now it has hit the UK with a bang. If you are the party planner of your group then this could be an invaluable boost to your event. If you are planning a fun, exciting, significant party or even an adventurous trip of a lifetime for that special person it is unquestionably fun and exhilarating, but raising the money to fund a group project can also be troublesome and time-consuming. Not anymore. You can now effortlessly ensure that all of your friends chip in without losing your patience with people, your precious time, money, or even your friends. Leetchi.com is one of the world’s fastest – growing group gifting platforms dedicated to both individual and charitable giving. It is used safely by those millions of people around the world to raise money for their much-loved personal causes. Everyone can pool their money easily at any time of the day or night and so it avoids any awkward situations where you have to ask people you know for money in person. Leetchi.com offers the lowest fees for an online group gifting platform. It is completely different to the existing platforms in the UK as it is entirely free to generate a group money pot and initiate a campaign. 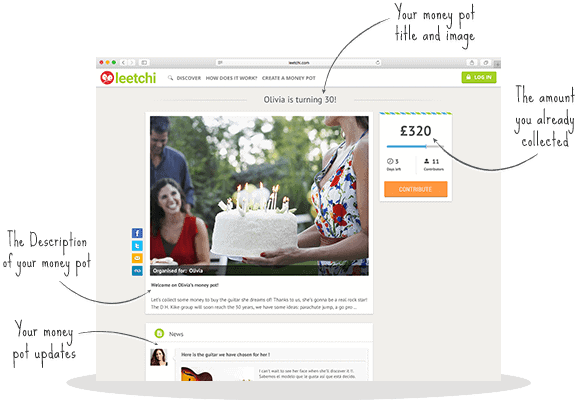 Leetchi.com’s comprehensive payment system lets people raise money online with the click of a button. Powerful social media integration is also set up to enable users to with no trouble at all share their money pots with friends on Facebook and Twitter, so they may even go viral. Raising money together has never been easier.